The well-funded Maura Sullivan congressional campaign in the NH-01 Democratic primary has released another TV ad–this one focusing on her support for gun control. So is gun control a winning issue in New Hampshire, a state where about 40 percent of voters live in gun-owning households? In previous polling “gun control is always way down at the bottom” of issues influencing voters, according to Andrew Smith, director of the University of New Hampshire Survey Center. “It’s a kill shot in the general election,” one New Hampshire GOP political operative told NHJournal. And based on state house actions over the past two years–expanding concealed-carry laws and rejecting local authority to declare schools “gun-free zones” — the state’s legislators appear to agree that gun control isn’t a Granite State winner. “In Maura Sullivan’s home state of Illinois, they have tried gun control measures just like these and it has been a complete failure. 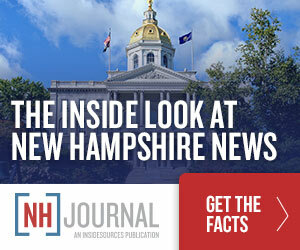 It is no surprise that someone who moved here a little over a year ago with the express intent of running for Congress would hold a view that is the exact opposite of most Granite Staters,” Sanborn told NHJournal.